You will be the envy of all your yogi classmates with this crochet yoga mat bag! 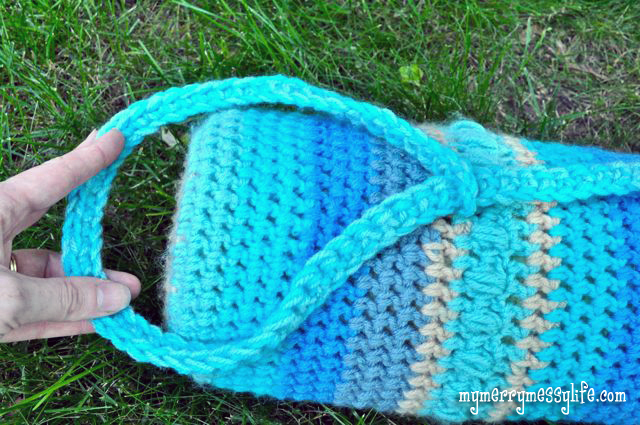 Follow this free pattern to create a one-of-a-kind bag using basic crochet stitches. I am so excited to share this yoga mat bag pattern with you, as it is my most favorite to date! It’s easy to make, just takes a little time because of it’s size. But you’ll get all the attention in yoga class with this bag – everyone will think you spent hundreds on a designer mat bag, then you get to brag that you made it yourself! You have now finished the base. You do not need to work a stitch in each space of the puff stitch below, otherwise you will actually be increasing the number of stitches per round. 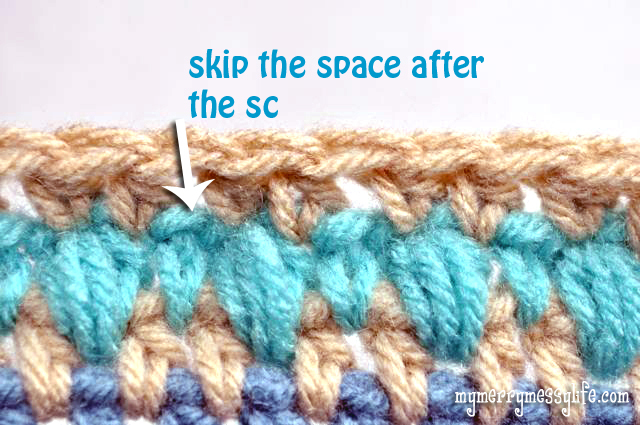 Instead, skip the space after the single crochet, then work a HDC in each of the next two stitches and repeat. Repeat rounds 8 to 19 three more times for 52 rows total. Then I did rows 8-16 again, changing colors every 3 rows and stopped there. 64 rows total. I started a new color in a different place than where I finished the previous color, which makes for a stronger bag. 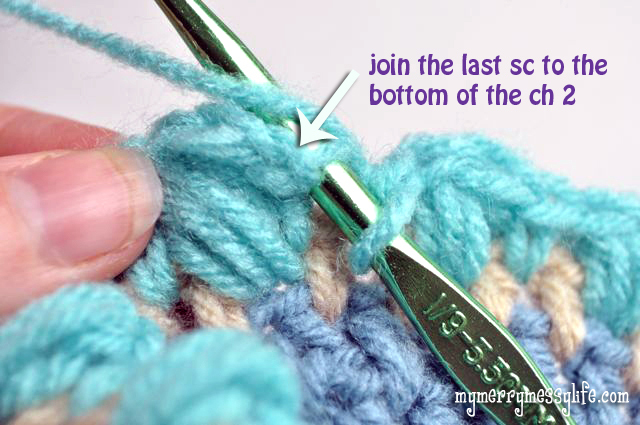 When joining the puff stitch in the round, join the last single crochet to the bottom of the first chain 2. Originally, I crocheted a pretty little strap with three rows of single crochet. It looked very nice, but because of the weight of my yoga mat, the straps pulled very hard on all my hard work, and I had to come up with another solution. This strap doesn’t attach to the bag so it won’t pull on the yarn and break your work. Instead, it wraps around both the mat and bag and distributes the weight much more evenly. Here is the pattern tutorial for the strap. I crocheted four puff flower motifs and sewed them onto the bag for decoration. Find that pattern tutorial here. Make a chain of 80 and thread it through the top of the bag to make a tie to cinch it closed!